My friends Ron and Evelyn McFarland were in town this week from Tennessee. 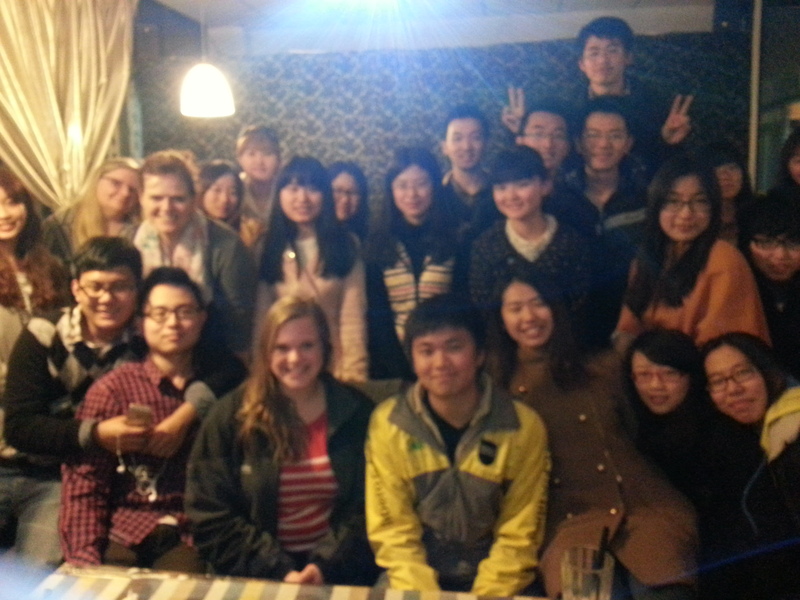 They are making their rounds through China visiting some of the foreign teachers in Wuhan. Ron and I reconnected last fall at my week long Training Class back in the states. We had originally met at Camp Manatawny in Pennsylvania when I was a camper at church camp as a teenager. Mary and Angela helped me by cooking breakfast on the mornings I have classes which was a huge help for me. Ron and Evelyn were able to meet some of my students and taught one of my classes a lesson on American Government, and about the Checks-and-Balances system of the Legislative, Judicial, and Executive branches of government in the states. 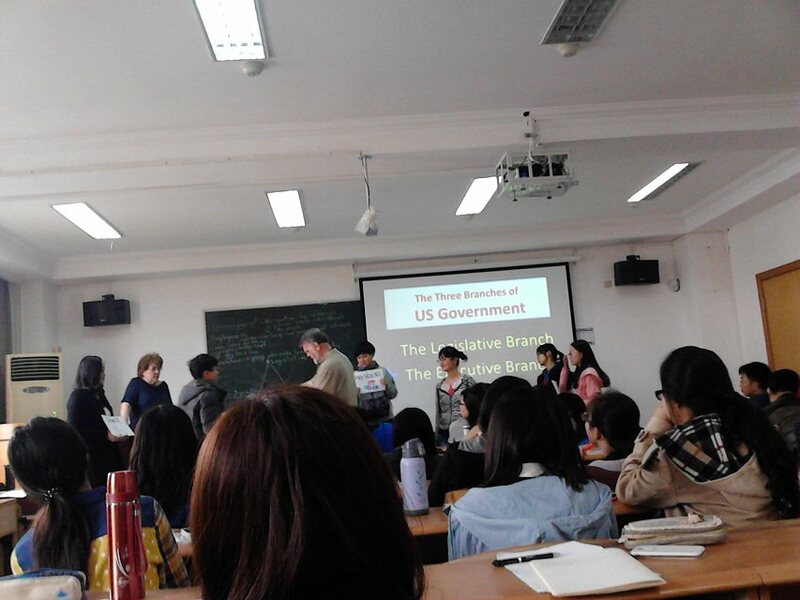 It was a really neat lesson because he had the students get up in front of the class and play various roles during class. I had so much fun getting to have them stay with me and meeting some of their friends including their interpreter Samuel Zhao. Samuel is an Art Teacher from Beijing and it was pretty great getting to hang out with friends that share my love of Art. 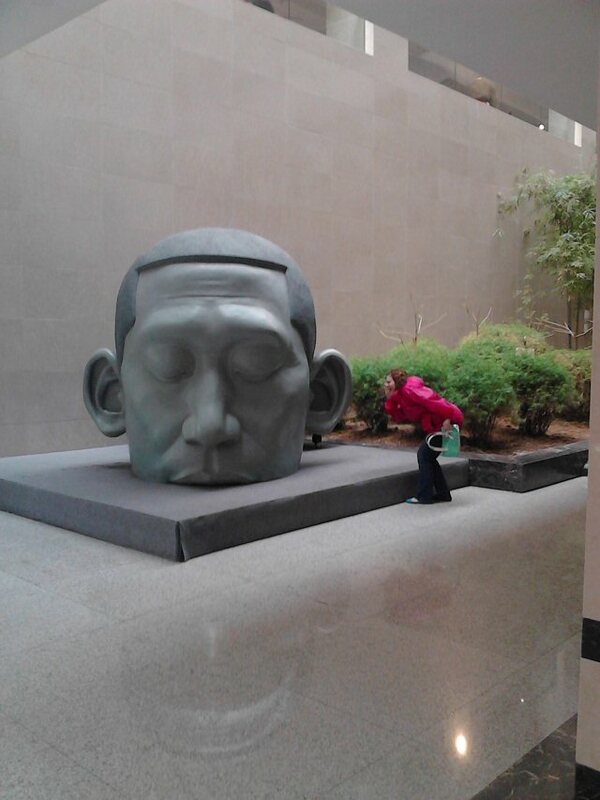 We were able to go to the Hubei Art Museum on day, along with my friend Katy and had a really fun time. While they were here, we did a little bit of sight seeing including traveling to snack street. 户部巷 (HuBuXiang) is a really famous area of the city for unique foods and snacks like Stinky Tofu, Octopus on a stick, Fried Bananas, Hot Dry Noodles, among others. I tried to be a little adventurous and did try some Fried Octopus Balls which were pretty delicious. 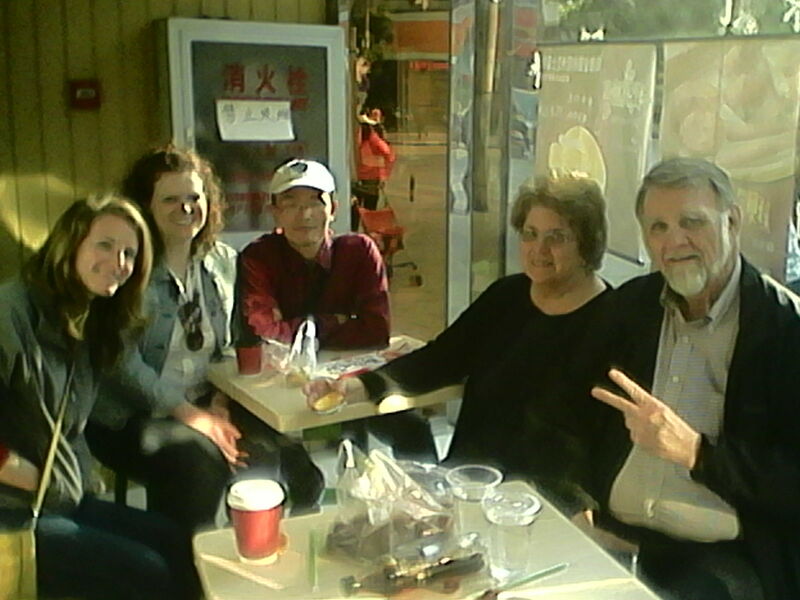 Here’s a picture of us taking a break in a small coffee shop near the main Snack Street. Also one of Ron’s friends named Shelby gave a presentation for one of the clubs on campus called FMA or the Financial Management Association. They are finance majors who hope to travel abroad after graduation so they all have really good English abilities. Shelby is one of nine (9) children and gave a presentation on what it’s like to be homeschooled and to grow up in a big family and contrasted that with China’s one child policy. 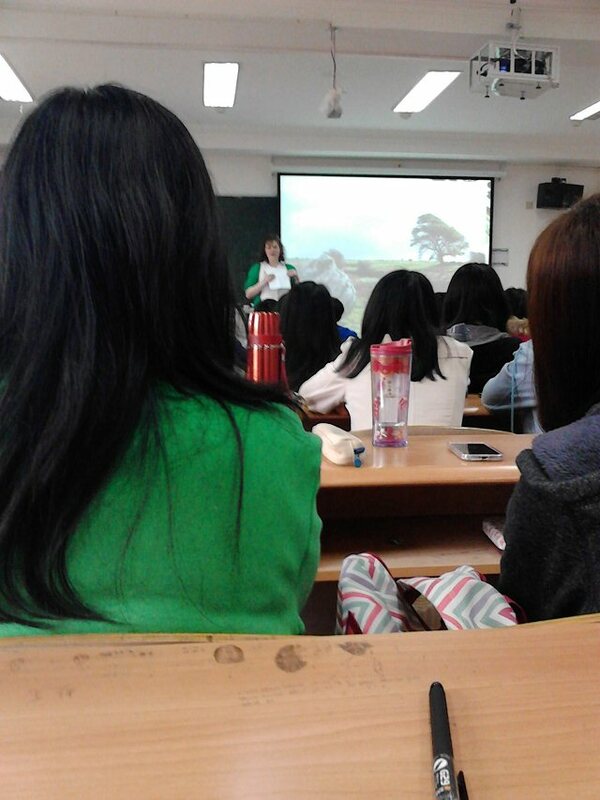 She did a great job and the students asked lots of questions. Next Post Come To China!! !